Helen Butterworth: Absolut BLANK . 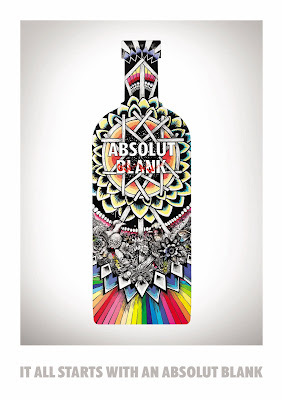 Absolut Blank from Sérgio Costa on Vimeo. 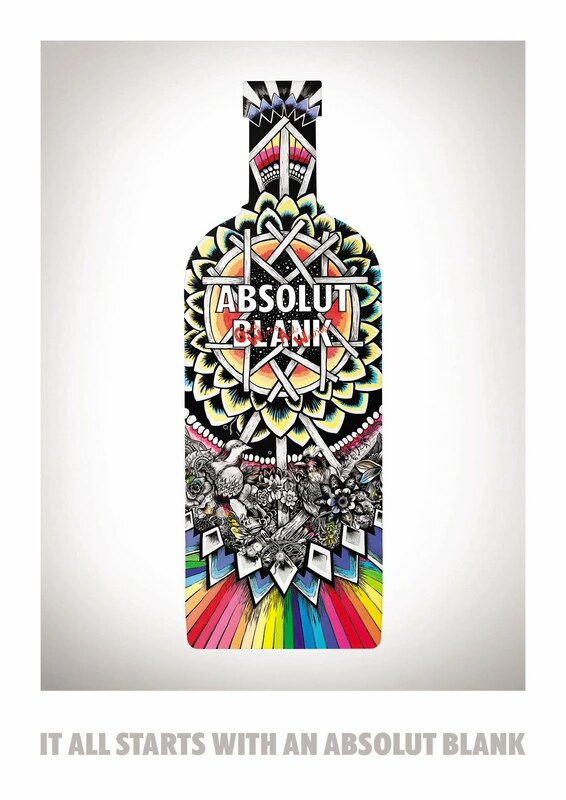 Absolut BLANK is a campaign created by TBWA, USA - in collaboration with a new generation of artists they have created a global movement that appears to lead the way in contemporary creativity. 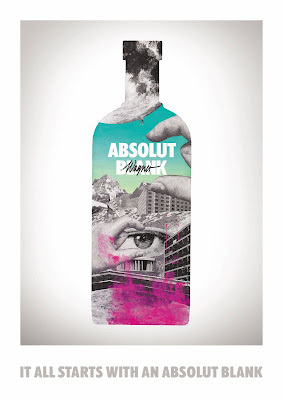 Absolut have worked with other artists in the past such as Andy Warhol, Damien Hirst and Spike Jonze and now it is their daring nature that provokes me to post this. I love their passion for the blank canvas ... inspiring other artists to get involved, turning the blank canvas into a collaboration of art and creativity. 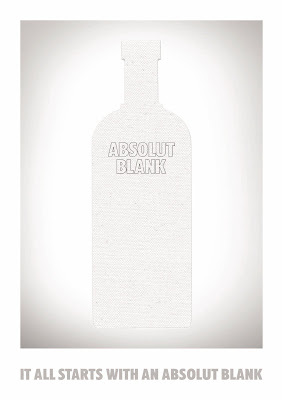 The 20 artists participating in Absolut BLANK represent a variety of creative disciplines from across the globe; from drawing, painting and sculpting to film making and digital art. See below for Mario Wagner’s attention-grabbing cut-out imagery, and the detailed work of Good Wives and Warriors - they are vibrant and most importantly allowing people to work together. This is something that does inspire me, and hopefully all other aspiring artists too ... as they think about sharing their skills and creative passion.